The rising value of the US dollar in the 1990s and then the 1997 Asian financial crisis badly affected local franchisees, leaving them unable to meet their obligations to pay royalties and franchise fees (as these are normally paid in foreign currency). Consequently, from 1998 to 2000, the growth rate of foreign franchises in Indonesia fell significantly (by as much as 86 per cent).4 It took until 2007 for the number of local franchises to surpass 13,000 outlets5 and to outnumber foreign franchises,6 but the development of local franchises remains rapid today. The first association for franchise business holders, the Indonesian Franchise Association (AFI), was established in 1991. Before the AFI was established, coordination was achieved through the Ministry of Trade and Industry, the International Labour Organization and the Management Education and Development Institution.7 Following the establishment of the AFI, the Association of Indonesian Business Actors for Franchising (APWINDO), and the Indonesian Franchising and Licensing Society (WALI) were also established. At present, the AFI remains Indonesia’s largest franchising association. There are currently no restrictions on foreign franchises granting franchising rights to local companies in Indonesia. With regard to the franchising schemes themselves, there are some restrictions on carrying out business under a franchising scheme in accordance with the current Ministry of Trade regulations for franchising.8 The idea of having restrictive policies derives from the main objective of protecting local, traditional and small and medium-sized enterprises and businesses, and these restrictions apply to both franchisor and franchisee. The main effect of these restrictions is the ‘80 per cent obligation’ – a requirement to use local products or services as raw materials – and this may be considered a market barrier to foreign investors if their franchise activities cannot comply with this obligation. An exemption is possible under the regulations, but this requires a separate application, which is subject to further examination by an independent team appointed by the Minister of Trade. There is also a requirement for the franchisor to appoint a franchisee over whom it has direct or indirect control. Given this, it is not possible for a franchisor to own equity in its franchise activities in Indonesia. In addition, Indonesian land regulation also prohibits a foreign entity or person from owning land (i.e., rights of ownership or freehold). The only land title that can be used by a foreign entity or person is the right of use. Interestingly, the other main barrier to entering the local market results from trademark protection in Indonesia. In many cases, the principals (foreign franchisors) have been unable to enter the Indonesian market because they had not secured protection of their trademark and, surprisingly, another party (usually a local party) already held the registration. In practice, in many cases, the franchisor may have to choose either to undergo an exhausting litigation process in court or to ‘buy’ the trademark from the local party. The Indonesian Currency Law (issued by the Ministry of Finance) requires the use of rupiahs for transactions conducted in Indonesia, subject to certain exemptions. The obligation to use the rupiah aims to uphold Indonesia’s sovereignty, as well as to support macroeconomic stability. However, as the policy initiator, Bank Indonesia provides space to request an exemption for those business actors who object to using the rupiah. The use of foreign currency is still possible for certain activities in strategic infrastructure projects, such as system adjustment, bookkeeping, business strategy, evaluation of business processes and corporate finance. Furthermore, agreements made before 1 July 2015 may still fulfil the obligation to use a foreign currency denomination up to the termination of the agreement, as long as there are no changes relating to the parties in the agreement, the price of goods or services, or the object of the agreement, or a combination of these. Under the laws of Indonesia, protection of intellectual property (IP) rights, except for copyright, is obtained by way of registration (under the first-to-file principle). In a franchising structure, trademark, patent and copyright (and know-how) serve as the key elements of IP that require serious attention by the franchisor as regards protection and maintenance. Of rights in a franchise concept that can be registered, trademarking is the first priority, primarily because the brand helps customers to first identify the relevant franchise business. Taking this into consideration, clearance trademark searches are essential for the franchisor (especially for foreign companies) prior to entering into a franchising agreement with a local party in Indonesia. This ensures that no party has filed for the same trademark. Also, because of the requirements of the franchising legal regime, the franchisor must hold the necessary trademark registrations (or at least have submitted an application to register a trademark) to carry out franchising activities and to obtain further registration with the Ministry of Trade. A clearance trademark search can be carried out both formally or informally with the Directorate of Trademark and Geographical Indications, at the Directorate General of Intellectual Property at the Ministry of Law and Human Rights (the Indonesian Trademark Office). Formal searches can be carried out by addressing a formal letter to the Indonesian Trademark Office enquiring whether a specific trademark has been registered at that office. The drawback to carrying out a formal search is the uncertainty as to when the Indonesian Trademark Office will carry out or complete the search. In some cases, the interested party has to follow up its enquiry letter. In such cases, an informal search is a preferable option. Informal searches can be done by checking the online database of the Indonesian Directorate General of Intellectual Property (DGIPR). The online database provided by the DGIPR now covers information on pending applications, published trademarks, registered trademarks and pending renewals. However, the downside of the current database is, at times, inaccurate data input by DGIPR officials, which usually results in the provision of inadequate information. With this in mind, further informal searches by IP firms can be carried out at the Indonesian Trademark Office through the official non-computerised databases (i.e., manual searches). Searches should also be carried out for both identical and similar trademarks and particularly for details of goods or services that constitute the franchisor’s main business interest or are used in the franchise’s activities. Note that if a franchisor has not yet registered its trademarks and the searches reveal an existing identical or similar trademark, use of the trademark by the franchisor will potentially be an infringement. The available courses of action in this situation would be to file an opposition, cancellation or deletion claim against the pre-existing registration. The two latter actions should be filed with the Indonesian Commercial Court. As described above, the basis of trademark protection in Indonesia is a first-to-file system. An application for trademark registration is filed by completing certain forms and documentation required by the Indonesian Trademark Office, or by online application through the electronic filing system (e-filing). Upon submission of an application form, the Indonesian Trademark Office will conduct an examination to check that the supporting documents and the administrative requirements of the relevant application are complete. Theoretically, under Indonesian Trademark Law, the administrative examination must be completed within two months of the filing date of the application. If the supporting documents are deemed complete, the Indonesian Trademark Office will publish the trademark application in the Official Trademark Gazette for a two-month period. If no opposition is filed by a third party within 30 days of the date of the expiry of the publication period, the trademark examiners will proceed to conduct a substantive examination of the application for a period of five months. If the examiners are of the view that the application is acceptable for registration, the Indonesian Trademark Office should issue a certificate of trademark registration within 30 days of the said publication. Despite the timeline provided by the Indonesian Trademark Law, it is common for the process of trademark registration to prove lengthier as the number of trademark applications received by the Indonesian Trademark Office is higher than that for other IP registrations. This can cause trademark applications to take longer than expected. It is important for the franchisor to ensure that all the descriptions of goods and services registered (or to be registered) under the franchisor’s trademarks in Indonesia have sufficiently covered the line of services or products in which the franchise concept is being used. Specific advice is required from a qualified IP consultant to ascertain adequate information on this particular issue. Under Indonesian law, a franchise scheme qualifies as an IP licensing scheme, which allows the franchisee to legally exploit the other party’s IP. The licensing covers most IP areas, from trademarks to patents, with any of these being available for licensing. The licensing provisions vary among the IP regulations, with each of these having its own requirements, as well as provisions regarding the terms of engagement between licensor and licensee. However, licence agreements must be recorded at the DGIP to have legal effect in relation to third parties, as stipulated under the Minister of Law and Human Rights Regulation No. 8 of 2016 concerning the Procedure and Requirements of Intellectual Property Licensing Agreements. Enforcement actions in franchising matters follow the same process as actions taken by third parties against independent rights holders. The most important point is to expressly determine in the franchise agreement which party holds the rights to carry out enforcement actions, including the relevant procedures, in the event of infringement. Enforcement actions of IP rights in the franchise business may only be exercised if the relevant IP rights have been registered. As to copyright, while registration is not compulsory, the presence of a copyright registration serves as prima facie evidence for the court. Enforcement of IP rights can be carried out through both civil and criminal routes. For enforcement against criminal infringement, the owner of the IP rights should file a criminal complaint with the Indonesian police, giving notice of the alleged infringement of trademark or IP rights. The Indonesian Trademark Regulations provide that a trademark infringer can be sentenced to imprisonment or fine. A civil action (specifically for trademark cases) can be initiated by filing a civil claim with the Indonesian Commercial Court. The purpose of filing a civil claim under the Indonesian Trademark Law is to get the counterparty to pay damages to the owner of the registered trademark. While there is no official separation under the Indonesian legal framework, data protection is divided into two classifications, namely general data protection and personal data protection. Despite both having same purpose, general data protection applies to data on a bigger scale, such as corporate documents and general electronic information. On the other hand, the focus of personal data protection is mainly on data owned by the individual. As both types of data are deemed relevant and important for the franchisor and franchisee, an explanation of the laws affecting each type is provided below. d Law No. 28 of 2014 on Copyright. A franchisee falls under the classification of a company pursuant to Law 8/1997.9 Consequently, the franchisee’s data may be classified as corporate documents10 and therefore subject to the provisions of Law 8/1997. This classification requires the franchisee as document owner to comply with retention requirements; for financial documents this is at least 10 years, while the retention period for valuable company documents other than financial documents11 is dependent upon the value of the document for the company. Law 8/1997 further stipulates that any transfer, assignment and obliteration of documents shall be at the discretion of the head of the company. Given the possibility of data being electronic information,12 data owned or collected by a franchisee may be subject to data protection requirements under Law 11/2008 and GR 82/2012. Under Article 40 Paragraph 1(p) data is protected as a form of copyrighted creation. Data may obtain protection through being declared a creation of the data owner. Where data is protected under the copyright regime, the data owner is entitled to protecting its data by filing a criminal report of copyright infringement, as stipulated under Article 113 of Law 28/2014. The data owner seeking material compensation is also further entitled to file a copyright lawsuit against the infringer. In general, the matter of personal data protection is regulated by Law 11/2008, GR 82/2012 and MCI13 Regulation No. 20 of 2016 concerning Personal Data Protection in Electronic Systems (MCI 20/2016) (collectively the Data Protection Regulations). While there is no specific provision regulating data protection, the Data Protection Regulations may treat the franchisee as an electronic system of organisation (ESO). The franchisee is granted recognition as an ESO because of the possibility of it carrying out personal data processing14 activities. Consequently, franchisees are subject to the Data Protection Regulations. Under MCI 20/2016, any franchisee regarded as an ESO is required to comply with the following obligations. Article 28 of MCI 20/2016 stipulates that ESOs shall ensure the validity, legality, confidentiality, integrity, relevancy and appropriateness of the data for the purpose of the data collection, processing, analysis, storage, publication, announcement, transfer, distribution and obliteration. The ESO should also ensure the security and protection of personal data by enacting internal policies in accordance with the law. d the right to have the personal data obliterated upon request by the data owner. Pursuant to Article 15 of GR 82/2012 in conjunction with Article 6 of MCI 20/2016, the consent of the data owner is required for any collection of personal data. Upon obtaining the consent of the data owner, the ESO is also required to inform the data owner of the purpose of the data collection. The purpose of the data collection serves as the limitation of the ESO in processing the personal data. When obtaining consent, the ESO may only obtain the consent of the personal data owner by means of an Indonesian-language consent form. Article 28 Paragraph (c) of MCI 20/2016 specifically requires the ESO to provide written or electronic notification to personal data owners in the event of a breach of personal data. This notification shall relate the cause of the breach and be provided to the data owner within 14 days of the discovery of the breach at the latest. Article 28 Paragraph (d) of MCI 20/2016 stipulates that the ESO is required to provide a contact person who is accessible to data owners. The contact person shall be made accessible to data owners to facilitate the management of individuals’ personal data. Indonesian legislation prohibits the storage of personal data outside Indonesia and specifically requires data centres to be located in Indonesia, especially in the case of public service electronic system providers. This requirement particularly applies to personal data pertaining to Indonesian nationals and data on transactions conducted within the Indonesian jurisdiction or relating to Indonesian nationals. Article 22 of MCI 20/2016 requires that the transfer of personal data must be coordinated with the MCI. In practice, this ‘coordination’ is carried out by submitting a personal data transfer implementation plan (the Transfer Plan) and report (the Transfer Report) to the MCI, as well as requesting advocacy from the MCI where necessary. The Transfer Plan must contain at least the following information: the country of the data recipient, the full name of the data recipient, the date of the transfer implementation and the background to or purpose of the transfer. Upon completion of the transfer, the ESO is required to provide a Transfer Report to the MCI, containing the result of the Transfer Plan implementation. Given that an unauthorised transfer of personal data may constitute unauthorised distribution or disclosure of personal data, which is subject to criminal punishment as stipulated under Law 11/2008, the ESO must ensure that it has obtained the consent of the data owners prior to transferring personal data. In Indonesia, the penalties for non-compliance with the law are found in the Data Protection Regulations. These take the form of administrative sanctions, fines and imprisonment. Imprisonment may be imposed for severe breaches and intentional infringement. a Under Article 48 in conjunction with Article 32 Paragraph 2 of Law 11/2008, a maximum of nine years’ imprisonment or a maximum fine of 3 billion rupiahs, or both, may be imposed on any person who knowingly and without authority, or unlawfully, accesses computers or electronic systems in any manner whatsoever with the intent to obtain electronic information or electronic records. • expulsion from the list of registrations (as required under the GR 82/2012). This sanction relates to the obligation to obtain an electronic certificate, a certificate of reliability and a licence for the information system by registering the electronic systems operator or electronic agent operator with the MCI. As to cybercrime and social media, the Indonesian government has not yet passed any specific regulations, and general provisions under existing regulations apply to the extent possible and on a case-by-case basis. Although there is no specific provision regarding standard-setting or requirements for the protection of electronic information, Law 11/2008 is the most relevant of the existing regulations pertaining to cybersecurity, and it determines the following actions to be violations that may constitute cybercrime. Law 11/2008 prohibits any unauthorised action of adding, decreasing, transmitting, damaging, eliminating, obliterating, removing, transferring or hiding of electronic information or documents. Violations of these prohibitions may be subject to penalties of up to nine years’ imprisonment or a fine of up to 3 billion rupiahs, or a combination of these. f Decision of the Director General of Domestic Trade No. 16/PDN/KEP/3/2014 concerning Technical Guidelines for Franchise Implementation and Monitoring. In addition to these regulations, there are also regulations concerning applicable registration procedures for franchise businesses under Ministry of Trade Regulation No. 85 of 2016 concerning Integrated Trade Services (MoT 85/2016) and Ministry of Trade Regulation No. 86 of 2016 concerning Online Licensing Services Provisions and Digital Signature (MoT 86/2016). a The franchise has certain business characteristics that could differentiate it from other similar businesses. b The franchise has been proven to be profitable. c The franchisor has a written standard operating procedure relating to the goods or services involved in the franchise business. d The method for carrying on the business is easy to teach and apply. e The franchisor is in a position to provide continuous assistance to the franchisee. f The business involves certain IP rights that have been registered or filed for registration in Indonesia. a The franchise arrangement must take the form of a written agreement between the franchisor and the franchisee. b The franchise agreement is governed by the laws of Indonesia. c The franchise agreement must be in or translated into the Indonesian language by a sworn translator for registration purposes with the Ministry of Trade. d A franchisor cannot appoint a franchisee that has a control relationship with the franchisor, either directly or indirectly. e The franchisor is obliged to provide development assistance to the franchisee in the form of training and assistance in management, marketing and research and development. f Prior to signing the franchise agreement, a franchisor must provide a contractual disclosure document called a ‘franchise offering prospectus’ to the proposed franchisee at least two weeks before the signing of the agreement. g Once executed, the franchise agreement must be registered by the franchisee with the Ministry of Trade. h Both franchisor and franchisee are obliged to use raw materials, industrial or business equipment and to sell traded goods of which at least 80 per cent must be local products or services. An exemption may be granted by the Minister of Trade in relation to the 80 per cent requirement upon a separate written formal application and by virtue of a recommendation rendered by an assessment team established by the Minister of Trade. i Both franchisor and franchisee may only carry out franchise activities as covered under their business permits or licences. They may sell supporting goods related to their main business, but this is limited to a maximum of 10 per cent of the total amount of all goods sold. The franchisor is also obliged by law to provide development assistance to the franchisee in the form of training and assistance in management, marketing, research and development. Further, the Indonesian franchising regulations provide that the parties should prioritise the use of domestic goods or services to the extent that such goods or services meet the quality standards stipulated in writing by the franchisor. Cooperation with local small or medium-sized businesses or local distributors, provided that the latter satisfy the franchisor’s requirements, should also be prioritised. In 2016, The Ministry of Trade (MoT) introduced a new online system for franchise registration. The system was launched by virtue of the Ministry of Trade Regulation No. 85 of 2016 concerning Integrated Trade Services (MoT 85/2016) and Ministry of Trade Regulation No. 86 of 2016 concerning Online Licensing Services Provisions and Digital Signature (MoT 86/2016). This new system supersedes all manual submissions for franchise registration certificates (STPW), including new applications, amendments and extensions. Unlike the previous scheme, where a franchise offering prospectus had to be registered prior to obtaining an STPW, the current regulations allow foreign franchisors to apply for prospectus registration and an STPW simultaneously. This system is also provided for franchisees obtaining an STPW following the execution of a franchise agreement. Through this new system, called the integrated licensing information system (SIPT), franchisors or franchisees must submit all their STPW-related applications online and are no longer required to submit the original documents to the MoT. However, in certain cases where the online system is not working, the application can still be submitted manually. The Indonesian franchising regulations stipulate that the franchisor has an obligation to prepare and convey to the appointed franchisee the franchise offering prospectus, which will subsequently have to be registered with the MoT. a The franchisor must register the franchise offering prospectus with the MoT and obtain an STPW. b Once the franchisor has obtained the STPW, it will be required to provide the franchise offering prospectus to the proposed franchisee at least two weeks before signing the franchise agreement. c A draft franchise agreement containing the standard clauses as provided under the Indonesian franchise regulations must be prepared. As stated above, the franchisor is required to prepare and convey to the franchisee the franchise offering prospectus, which will subsequently have to be registered with the MoT. However, there is a change of procedure for franchise registration under the new online system, the SIPT. Now the franchisor or franchisee must first sign up with the SIPT to obtain a username and a password. After obtaining these, the applicant should be able to log in to the system and start filling out the online registration form and uploading all the required documents. g material composition of franchise goods. Once all requirements have been met, the MoT will issue either an STPW, for a correct and complete submission, or a rejection containing information on the aspects of the submission that require correction. The STPW is automatically generated on the system website, where the digital signature of the authorised representative is shown. As previously mentioned, under the Indonesian franchising regulations, the obligation to register to obtain an STPW rests on both the franchisor and the franchisee. The STPW will be valid for five years and is renewable upon written application. Both parties should also submit an annual report to the Ministry of Trade to report on, inter alia, the development of the franchise business. l warranties from the franchisor that it will perform its obligations in accordance with the agreement until it expires. The franchise agreement may also contain a clause stipulating the granting of rights for the franchisee to appoint a sub-franchisee in Indonesia, in which case, the main franchisee must own and operate at least one franchise branch. Foreign franchisors should bear in mind that it is compulsory to use Indonesian law as the governing law of the franchise agreement and it is important to adhere to the legal formalities in respect of the agreement. As to these particular elements, the Indonesian franchise regulations do not yet deal specifically with guarantees and protection. Note should be taken that the general principle of agreement under the Indonesian Civil Code provides a freedom to contract in construing or entering into an agreement. Under this principle, as long as the requirements of a valid contract are satisfied, the parties are free to determine the terms of their contract, including any additional clauses on guarantees and protection as agreed by the parties. This freedom is limited by statute, good morals and customs. Tax liabilities arise in relation to any income derived within the country. For a franchisor, this would include income arising from royalties, dividends or profits. Apart from income taxes, franchisors may also be subject to other general tax liabilities, such as stamp duties arising from the execution of the franchise agreement and applicable sales and VAT, and including tax requirements that apply differently to foreign (or foreign-owned) franchisors and domestic franchisor companies. Like franchisors, franchisees are required to pay tax on taxable income. Apart from income tax, the franchisee may also be subject to other general tax liabilities such as those arising from applicable sales and VAT. Indonesia does not currently have a tax-efficient structure solely for or particularly suited to franchisors or franchisees. It does, however, have more than 60 tax treaties in place, under which the rate of withholding tax on royalties is lower than that stipulated under domestic law. As a general principle in Indonesian civil law, any agreement made between parties should be executed in good faith. If a party fails to exercise an agreement in good faith, the counterparty may opt to file a civil claim in the Indonesian civil court. The grounds for filing a civil claim may be breach of contract or tort, and the plaintiff may request completion of the agreement and settlement of a claim for damages. Note should be taken that in filing a civil claim in the Indonesian courts, the plaintiff must be able to prove that the defendant is in fact acting in bad faith in exercising the agreement. In Indonesia, a franchise arrangement is not treated as a principal and agent or distributor relationship – a different set of regulations apply under the agency or distributorship-specific regulations. Once all the above-mentioned criteria of a franchising structure have been met, the provisions of the Indonesian franchise regulations will apply, regardless of the title of the agreement. In a franchisor–franchisee relationship under a valid franchise arrangement, the franchisee would not be regarded as an employee of the franchisor. Additionally, the franchise relationship itself does not fall under the Indonesian manpower regulation. Compliance of the franchisee with the current employment law regime would, of course, prevent any further complication in dealings between the franchisor and franchisee. Franchisees may not be treated as consumers under Indonesian consumer protection law, which defines consumers narrowly as end users. Under the Anti-Monopolistic Practices and Unfair Business Competition Law, a specific exemption applies to agreements relating to franchises and intellectual property. However, the Business Competition Supervisory Commission has issued a further decree that, to a certain extent, is contrary to the exemption clause under the Anti-Monopolistic Practices and Unfair Business Competition Law. This decree provides that a franchise agreement that prohibits a franchisee from being engaged in a business activity similar to that of the franchise, for a period after the termination of the agreement, is not necessarily exempted from the Law but the agreement may stipulate such a period provided that the intention of the prohibition is to protect the franchisor’s IP or its identity and reputation. The implementation of this decree is not yet clear and, in practice, businesses would usually adopt the exemption provided under the Law. Furthermore, practice has developed such that non-compete provisions are included as an integral part of franchise agreements to specifically prohibit the franchisee from entering the same line of business using the same type of business model within a certain period upon the expiry or early termination of the franchise agreement. It has become common for such provisions to be included and agreed upon at the outset of the engagement process to ensure the proper interests and goodwill of the franchisor are being appropriately protected. Non-compete and other restrictive covenants may be subject to the Anti-Monopolistic Practices and Unfair Business Competition Law, as explained above. Although the general principle of freedom of contract applies when entering into an agreement, the Indonesian franchising regulations provide that early termination of a franchise agreement does not become effective automatically. The regulations stipulate that following early termination of the agreement, the franchisor may not appoint a new franchisee for the same business unless the parties have reached a mutual settlement (called a ‘clean break’) or upon issuance of a final and binding court decision. 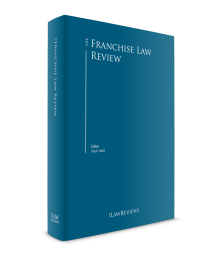 Therefore, to avoid the necessity of court proceedings should an amicable solution with the franchisee not be reached, the franchisor should consider having a standard-format clean-break agreement or acknowledgement – to be signed by the franchisee – to supplement the franchise agreement so that the agreement may be terminated prior to expiry. As explained above, it is not possible for the franchisor to take over the franchisee’s business since there is a restriction on the franchisor having a direct relationship with its franchisee under Indonesian franchising law. Although it may seem a minor issue, the governing language of the franchise agreement is important. Given the requirement for Indonesian law to be the governing law in a franchise agreement, any provision stipulated under the agreement must be in compliance with Indonesian laws, including those relating to language. Following the enactment of the Law on Flag, Language, State Symbol and National Anthem, any documents being executed and performed in Indonesia, under Indonesian law, must be written in the Indonesian language. As vague as the provision may seem, it has, in fact, resulted in the cancellation of an agreement by verdict of an Indonesian district court. This condition could, of course, endanger a franchise agreement executed by both franchisor and franchisee. From a practical point of view, therefore, for the purposes of clarity and compliance, it would be beneficial if an Indonesian-translation version of the franchise agreement were made available, thus preventing the possibility of the franchise agreement being deemed null and void by virtue of this point of law and providing security for the parties to the franchise agreement. In Indonesia, fraud, anti-corruption or money laundering regulations are not generally relevant to franchising arrangements. They would only be relevant if, in registering or obtaining certain licences from the Indonesian government (i.e., the Ministry of Trade), the franchisor or franchisee were to bribe officials at certain government agencies, which is clearly prohibited by anti-corruption law. There is no formal and dedicated procedure with regard to franchise dispute resolution in Indonesia under the current Indonesian franchising regulations, so the routes followed would be the same as those applicable for dispute resolution in relation to general contracts. For foreign franchisors, only foreign arbitral awards are recognised and enforceable in Indonesia, and their enforcement is not automatic. Foreign arbitral awards can be enforced in Indonesia only after securing an execution order from the Head of the District Court of Central Jakarta. Note that foreign court judgments are not enforceable unless they are being used as a evidence in a civil lawsuit instituted in an Indonesian domestic court. However, Indonesian law allows recognition and enforcement of foreign arbitral awards and Indonesian courts will accept and enforce foreign arbitral awards subject to certain qualifications. The District Court of Central Jakarta will decide whether the foreign arbitral award should be recognised and enforceable in Indonesia. If the Court recognises the award as enforceable, it will be final and binding. If the Court decides otherwise, the relevant party may appeal to the Supreme Court. 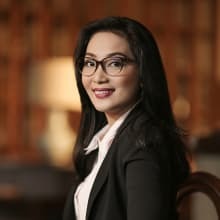 If the franchise agreement adopts the arbitration rules set by the Indonesian National Board of Arbitration (BANI) and chooses Indonesia as the arbitration venue, the enforcement and execution of an arbitral award may, as a result, be less complicated in the event of dispute. If the assets of the counterparty are situated in Indonesia, the choice of BANI rules and an Indonesiab arbitration venue will certainly be preferable. Franchising in Indonesia (for both foreign and domestic parties) is predicted to continue expanding. Franchising business schemes have become one of the win–win structures preferred by franchisors (with the objective of penetrating the huge Indonesian market) and by franchisees (with the objective of being able to implement a business venture without having to start the business process from scratch). The Indonesian government has grown aware of the importance of safeguarding this particular business structure to ensure the flow of foreign investment into Indonesia. This can be seen from the government’s active involvement in supervising the growth of domestic franchising, and in the efforts to enforce appropriately the provisions of the current franchising regulations. The government is also becoming more focused on implementing relevant policies, including those relating to domestic franchises, which have recently seen unexpectedly significant growth. The provisions concerning the obligation for foreign franchises to use local products or locally sourced products are also being actively promoted. 1 Risti Wulansari is a partner at K&K Advocates. 2 Lukman Hakim, Info Lengkap Waralaba [Detailed Information on Franchising], MedPress, Yogyakarta, 2008, p. 41. 3 Indonesian Franchise Association, SWA Magazine Edition, No. 09/XXVIII/26 April–9 May 2007. 5 Indonesian Franchise Association, op. cit. 6 Indonesian Franchise Association, SWA Magazine Edition, 26 July 2009, Jakarta, p. 29. 8 Note that the name for the Ministry of Trade and Industry has now changed to the Ministry of Trade. 9 Article 1 Paragraph 1 of Law 8/1997 defines a ‘company’ as any form of business that undertakes activities permanently and continuously with a view to making profits, and that is operated by an individual, or a business company in the form of a statutory body or otherwise, established and domiciled in the territory of the Republic of Indonesia. 10 Article 1 Paragraph 2 of Law 8/1997 defines a ‘corporate document’ as any data, note or information made or received by a company in the framework of implementing its activities, either written on paper or on other materials or recorded in whatever form can be seen, read or heard. 11 Article 7 Paragraph 1 defines ‘financial data’ as administrative data related to finance and used as supporting material for the arrangement and drawing up of financial documents. 12 Article 1 Paragraph 1 of Law 11/2008 defines ‘electronic information’ as one piece or a compilation of electronic data, including but not limited to writings, voices, drawings, maps, plans, photographs and electronic data interchange documents. 13 Ministry of Communications and Informatics. 14 There is no specific provision defining ‘processing’. However, Article 3 of MCI 20/2016 stipulates that personal data should be protected during the processes of (1) collection or obtaining; (2) analysis or processing; (3) storage; (4) display, announcement, transfer, distribution or disclosure; and (5) obliteration.